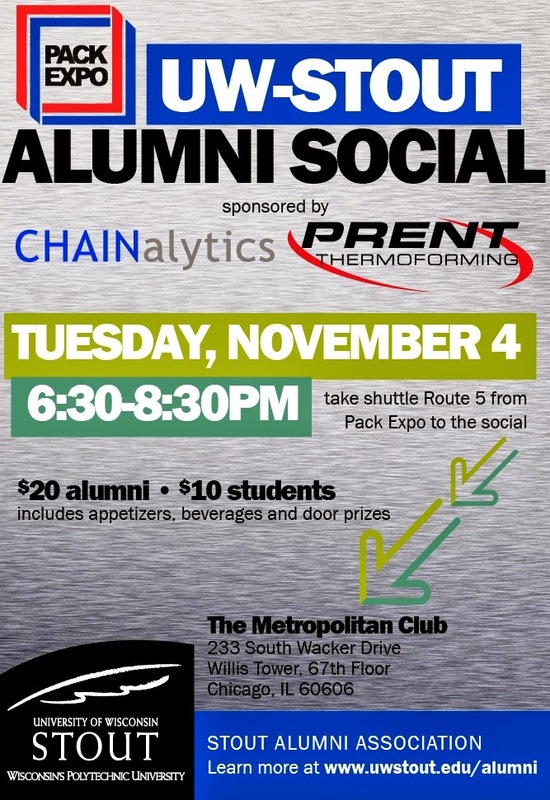 Please join us at the UW-Stout Packaging Alumni Reception being held during Pack Expo International 2014! The event will be a great opportunity for you to reconnect with classmates, network with your fellow alumni in the packaging industry, and meet some of the current program faculty and students. The cost is $20 per alumni or $10 for Students! This expo is always great very time I go, Thanks for the post reminds me to buy a ticket!